PVC polyvinyl chloride) is a molecule comprised of carbon, hydrogen and chlorine. When heated sufficiently, PVC temporarily changes from a solid to a semisolid state. At installation, seams are heat welded together creating one continuous membrane. 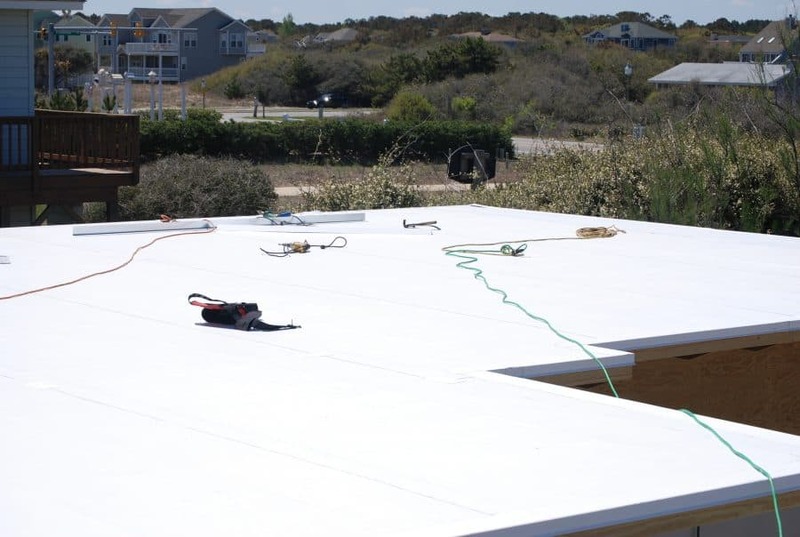 At Gallop Roofing & Remodeling, Inc, we install a PVC single-ply membrane manufactured by IB & GAF Roof Systems . 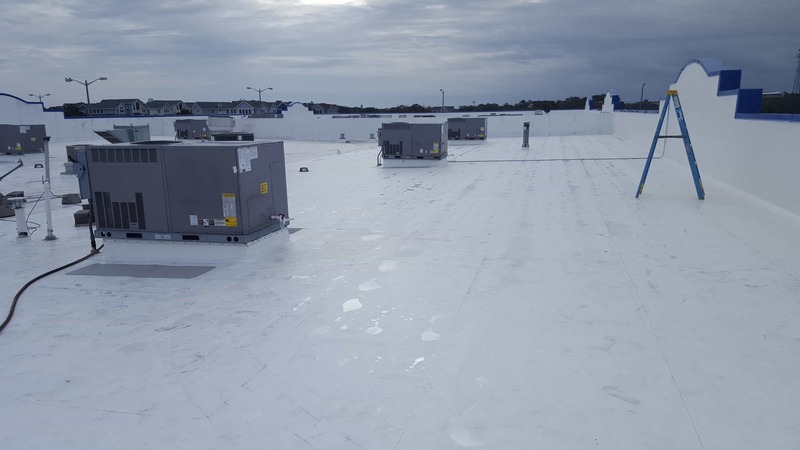 TPO roof membranes are a blend of polypropylene (PP) and ethylene-propylene rubber (EPR) polymers. The chemical and physical characteristics allow the single-ply membrane to repeatedly soften when heated, and harden when cooled. Also, because of their chemical nature, seams are heat-welded with hot air. Some TPO membranes are soft and flexible, while others are rigid, although all TPO membranes have positive physical properties, such as heat aging, cold temperature flexibility, puncture resistance, and tear strength. At Gallop Roofing & Remodeling, Inc, we install TPO manufactured by Versico & GAF Roofing Systems. EPDM is elastomeric compound synthesized from ethylene, propylene and a relatively small amount of diene monomer, from which a flexible rubber matrix is formed. This synthetic rubber material can be formulated with great flexibility for use as membrane sheet roofing. Generally EPDM is manufactured as vulcanized (cured) membrane, although no vulcanized (uncured) EPDM is used as detailing and flashing material. Seams are typically sealed with tape or liquid-applied adhesive. At Gallop Roofing & Remodeling, Inc, we install EPDM manufactured by Versico & GAF Roofing Systems. 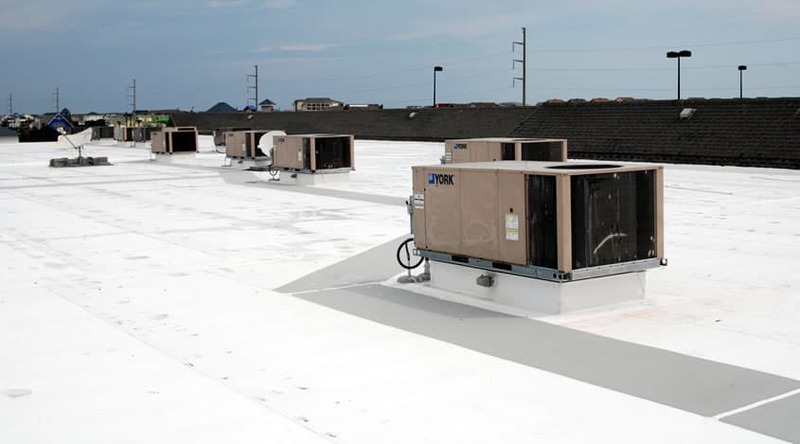 Built up roof membranes, referred to by the acronym BUR, have been in use in the U.S. for more than 100 years. These roof systems are commonly referred to as “tar and gravel” roofs. BUR systems generally are composed of alternating layers of bitumen and reinforcing fabrics that create a finished membrane. The reinforcing fabrics also are called roofing felts or ply sheets. The bitumen typically used in BUR roof systems is asphalt, coal tar or cold-applied adhesive. 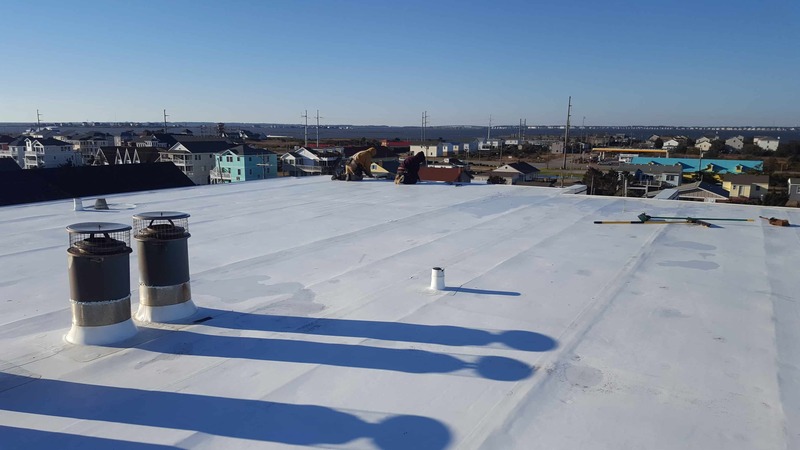 Surfacings for built up roof systems include aggregate (such as gravel, slag or mineral granules), glass-fiber or mineral surfaced cap sheets, hot asphalt mopped over the entire surface, aluminum coatings or elastomeric coatings.